Lawns make your yard look good, but they do more than that. They absorb water, which reduces storm runoff and improves air quality. Lawns have a significant cooling effect, provide oxygen, trap dust and dirt and promote healthy micro-organisms. They prevent erosion and filter the contaminants from rainwater. As you can see, lawns are very busy and very helpful to our environment provided that we utilize natural lawn care remedies to help improve the lawn. In this article, we’ll go over some ways you can naturally improve your lawn, paying special attention to watering and aeration and overall improvement of the soil. A lawn without a healthy foundation (soil) is not a healthy lawn at all. Mulching is a great activity for your lawn on so many levels. Whether you are mulching leaves or returning grass clippings back into the lawn, mulching saves time, energy, money and labor. It’s also a great amendment to the soil, making it healthier without the need of fertilizers. The best way to accomplish this is with a mulching mower. Special ‘mulching’ blades are used that cut the clippings multiple times and blow them down into the surface of the lawn. Since the grass clippings are mostly made of water, they will help hydrate and provide nutrients to the lawn with minimal effort on your part. 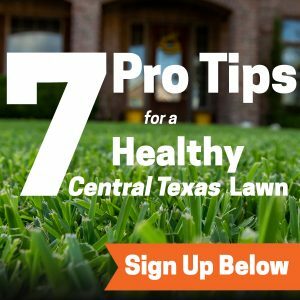 The lawn is usually the highest traffic area of your landscaping, especially if you have kids or pets. Over time, unfortunately, this usage causes the soil to become compacted. Compacted soil doesn’t have good air circulation, water drainage and nutrient absorption. Beneficial soil organisms like earth worms can’t get a foothold in a compacted lawn. Emerald Lawns can perform your soil aeration for you. We’ll lift up small soil plugs, which we leave on your lawn so you can use the organic material to help improve your soil. With loose soil and better air circulation, your grass will make better use of water and nutrients. Many people think the frequency they water their lawn is more important than the depth. The opposite is true. Turning on your sprinklers a few times a week to just wet the lawn is not a good plan. It can actually lead to disease. Instead, we suggest that you water once a week, but to about an inch deep on the lawn. This depth will penetrate the soil and give your lawn the hydration it needs to stay healthy. You should never cut more than 1/3 of the blade when mowing your lawn. If you do, you are not helping the lawn support a strong root system. Keep the blades on your lawnmower sharp so they can cut properly and to the correct length. and Attracting beneficial insects, worms, and other organisms. So you see, there’s a lot you can do to your naturally improve your lawn to make it lush and green. If you need help with any of these endeavors, give us, at Emerald Lawns Austin, a call today. We can be reached at (512) 990-2199.